We have now more than tripled the size of our chandlery shop in Newhaven and as a result can offer an even wider range of boat and engine spares, parts and fittings - if it's nautical we sell it - or can get it for you. We now offer a much larger range of chandlery and spare parts and carry most things from safety equipment to electronics, Hempel paints to deck hardware. New products we have recently taken on are Marlow Ropes, Lewmar deck hardware and thrusters and Indespension boat trailers and spares. We carry a large stock of Morse Teleflex control cables and steering systems. 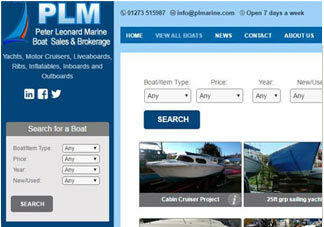 We have a large stock of spare parts and lubricants for many of the leading brands of marine engines. Delivery on most products that we do not stock is over-night and we can, by special arrangment, have items delivered to to your address direct from our suppliers. We are the largest stockist of Calor gas in the Seahaven area. To order gas online, please CLICK HERE.